This was the Third Lahemaa International Bagpipe Festival to be held at the Palmse Manor Estate in Lahemaa National Park in North Eastern Estonia, not far from The Baltic coast. 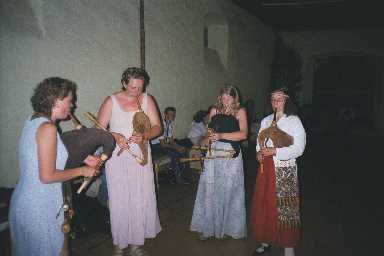 Pipers came from France, Ireland, Scotland, Livonia, along with pipers and groups from various regions of Estonia. All the performances were outdoor in brilliant sunshine in over 30 degrees of heat. The festival this year was brought forward to coincide with Baltica 2001, a festival the rotates between the three Baltic states of Latvia, Lithuania and Estonia. This Baltica 2001 festival was based in Tallinn and we performed, as part of this festival, at the old Monastery in the Centre of Tallinn prior to our departure to Dublin. In previous years the bagpipe festivals were held in southern Estonia in Torva, Valgamaa, which is quite near the Latvian border. The inspiration behind these festivals, and indeed the revival of the Estonian bagpipe, was Johannes Taul and his son Ants. Ants is a full-time instrument maker and has made most of the Estonian bagpipes to be found and played in Estonia today. 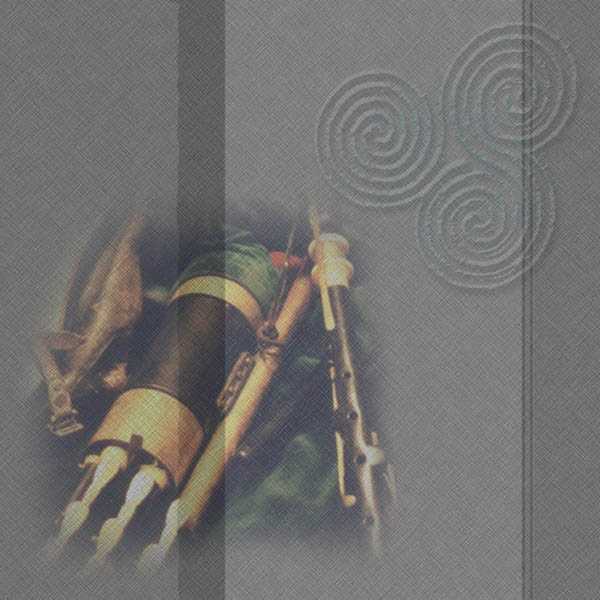 The bagpipe group they formed was called "Torupill" (meaning bagpipe) and they existed for 25 years and had their final performance in 1997, which was to coincide with the first International Bagpipe Festival in Lahemaa. Myself and Brian Vallely played at both occasions and it was my first time to bring another piper with me as I had been performing solo at these festivals every second year since 1991. The Irish group has expanded and has included to date Brian Vallely, Peadar Ó Caennabháin, Alphie Mulligan, Tom Mulligan, Meaití Jó Sheamuis Ó Fatharta and Peter Woods. 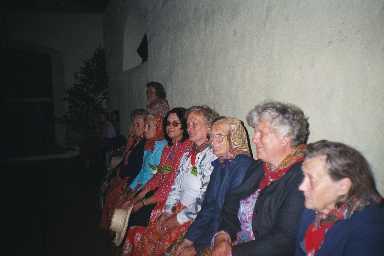 Garech De Brún and Gloria Mac Gowran also came with me in 1995 to Torva. Ag Cleachtadh le haghaidh Corn Uí Riada!! Lift them and they will fall themselves! 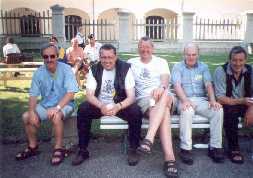 A group at the open-air concert including Gerry O'Reilly from Dublin. If performances are not up to expectations then this is where you can end up!! !